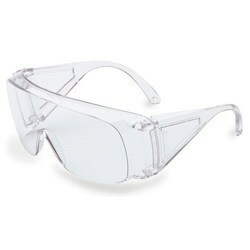 We are a leading Manufacturer of 3m visitor goggles 1610 from New Delhi, India. Keeping in mind diverse requirements of the clients, we are offering a quality assured assortment of Visitors Spectacles. The Visitors Spectacles we offer is widely demanded amongst the clients for its sturdiness and reliability. These products are safe to use. Looking for Cease Fire Products ?